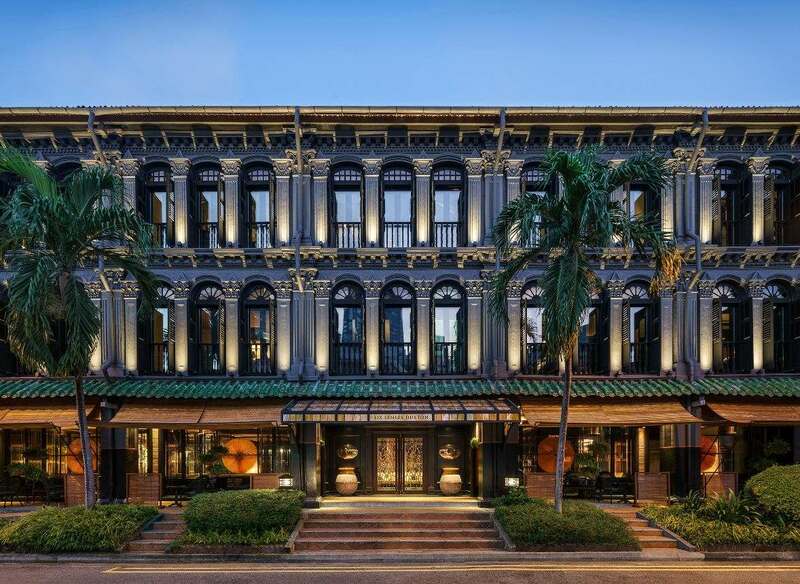 With its façade painted black, it’s hard to miss the new Six Senses hotel along Duxton Road, particularly with the technicolor signs and shophouses that are characteristic to the neighborhood. “I’m finally here,” it says, without having to utter a single word. And of course, we take notice. 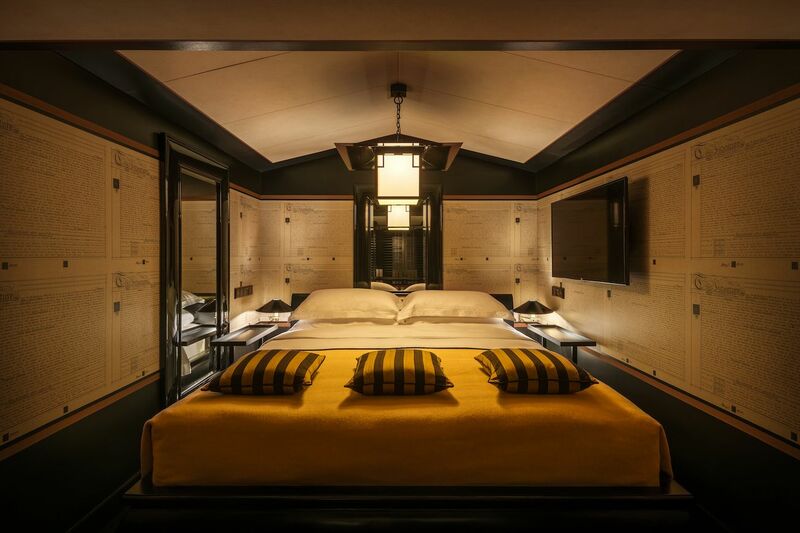 Inside the Anouska Hempel-decorated property, guests are transported to a cozy enclave, almost like a classic bar inside a luxury sleeper train. Rich tones of yellow and gold, complemented by black fixtures and finishes are the norm here, save for the Pearl Suite, which is a hidden all-white sanctuary. Of course you’d expect a Six Senses property to look this stunning, but what surprises us most is that it doesn’t just look good, it does good as well. Spanning a row of sustainably restored shophouses, Six Senses Duxton seeks to engage the surrounding neighborhood, and at the same time, provide a new level of sustainability practiced in Singapore. 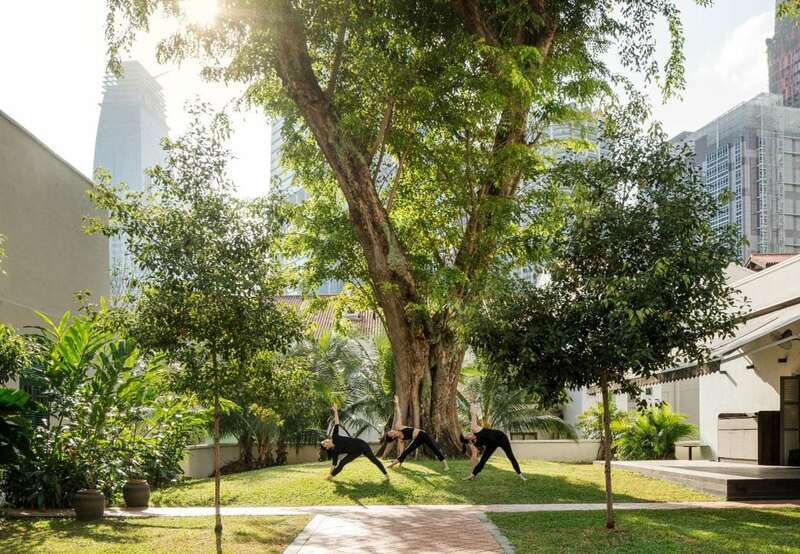 “Six Senses Duxton aims not only to deliver a five-star luxury hotel experience, but to actively improve the surrounding neighborhood and natural environment as we do so,” shares Neil Jacobs, Six Senses Chief Executive Officer. There is also no environmental effort too big or too small for Six Senses Duxton, with the hotel practicing something as simple as refraining from using plastic straws to more complex efforts like a well-executed waste management system and treating, purifying, mineralizing, and bottling its own drinking water. 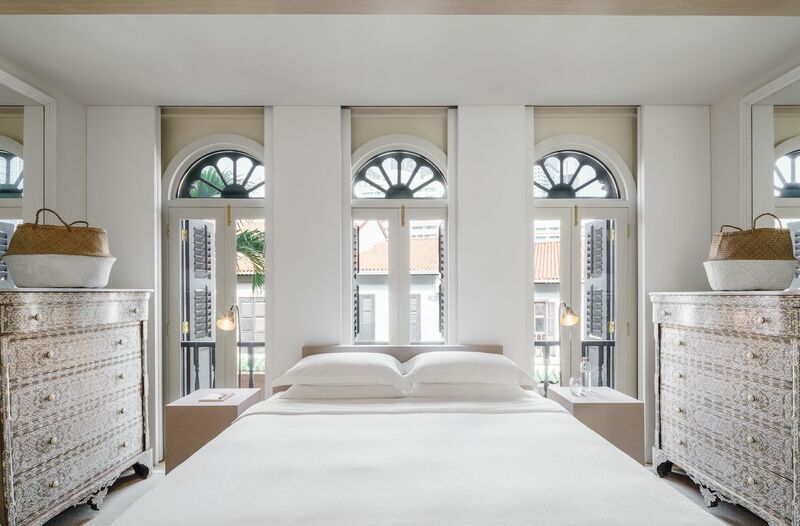 With the Duxton Road property up and running and another one opening later this year at Maxwell, Six Senses took it upon itself to engage the neighborhood it calls home. Guests can look forward to community-based wellness activities like nature discovery walking tours and fitness classes through neighborhood partners. 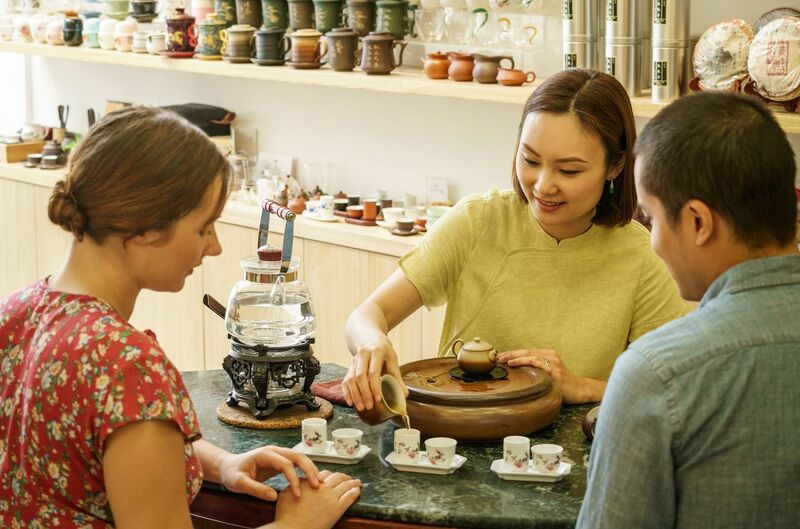 Other offerings include tea and coffee workshops, in collaboration with nearby cafes and traditional teashops. 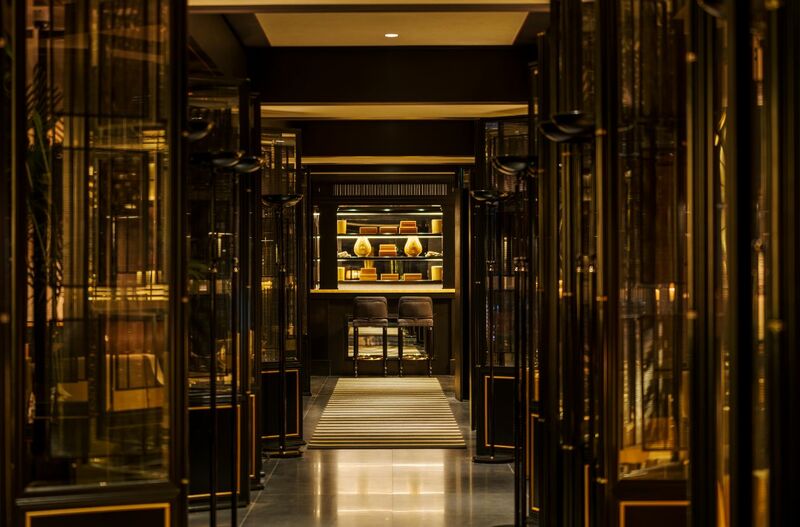 Also notable is Six Senses Duxton’s partnership with Long Zhong Tang, a successful Traditional Chinese Medicine practice across the road. 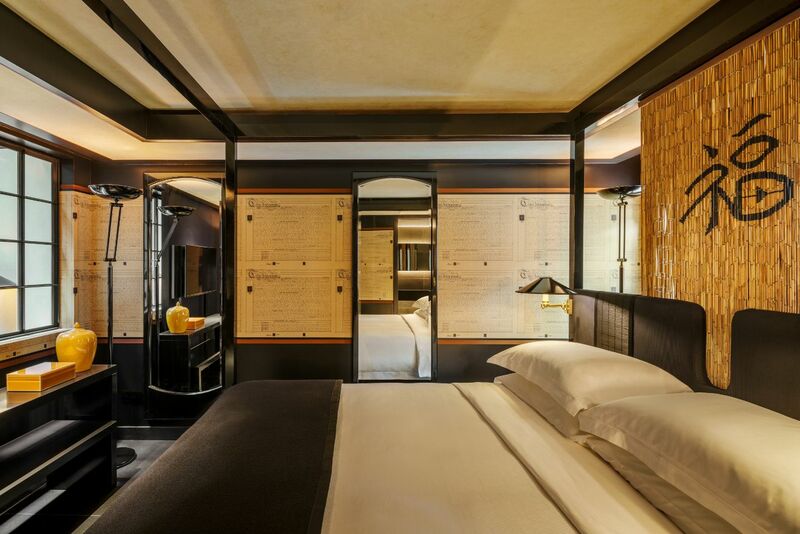 Professor Zhang Mao Ji will offer consultations and medicinal herbal dispensary for in-house guests, as well as receive two chilled 30ml glass bottles of complimentary tinctures that he formulated in the in-room mini bar. One tincture is designed to be taken in the morning, which helps improve appetite and body detoxification, while the night concoction helps prevent insomnia, improve blood circulation, and reduce anxiety.